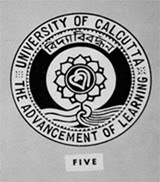 Paikpara Ghatbaur, P.S. Bangaon, near to Bangaon town, on May 23, 2013, remained witness to a scuffle between Muslim ruffians and local Hindu Samhati activists – while the Islamists were hell-bent to restart construction of a mosque in a disputed property, located at a short distance away from an old Kali Temple of Hindus, situated behind the bus stand at Paikpara market, Hindu youths were desperate enough to stop the same. It has been learnt, the trouble commenced at 11 am when a few Islamists, both young and old, were seen to supervise a construction in the disputed site. 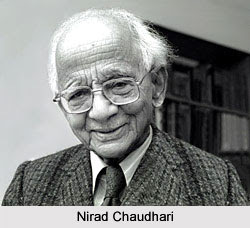 They were not ignorant of a crucial fact –the very land belongs to government and in 2006, Islamists had attempted to make a mosque there; Hindus, in protest, lodged a suit against the local administration then in the High Court on August, 2006 and the Hon’ble High Court of Kolkata ordered an injunction on the same land. Can there be any relation between the creed of violence and non-violence? The question, being the most intricate one hitherto, is asked every now and then. If you are having the same dilemma also, go through the following lines and do not forget to learn the Noakhali pogrom against Hindus from October 10, 1946 led by Muslim radicals. Bokul Das, Hindu girl student of 14 years (age) and also daughter of Badal Das, inhabiting village: Durgapur Mistripara, P.S. Joynagar, District: 24 Paraganas, will never forget the evening (7.00 – 7.30 pm) on May 17, 2013 when she was both hassled and heckled by a few Muslim boys. She was going to the private tuition then. While she was going to the private tuition, Samsud Mollah (s/o Jalal Mollah) and his accomplice obstructed her all of a sudden and entered a cell phone into her school bag forcibly. The incident was enough to make her dumbstruck but she got terrified once the Muslim youths started harassing and urging her to return the phone. If a few persons have got amazed at the raucous behavior of Shaifqur Rehman Burq of BSP in deserting the Lok Sabha to protest against playing of Vande Mataram, National Song of India, they must be said that this is nothing new and the fact that row over Vande Mataram has been going down the ages between Hindus and Muslims, in particular owing to Islamic perspective, is also a cruel reality. Vande Mataram, ever since its acceptance in the national spectrum, has been challenged by Islamists and violent expression of the same was witnessed during the heydays of national freedom struggle. 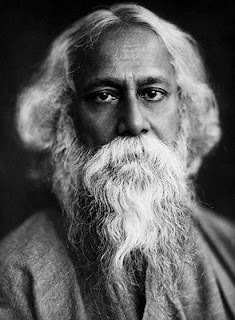 Vande Mataram or Hail the Motherland is based on a Hindu perspective of Bankim Chandra Chattopadhyay and its most extensive implementation took place through the revolutionaries in Bengal during “Agnijug”, followed by others in the rest of India. Hindu persecution is in full swing in the realm of Indian state of Bengal. There was no exception to the same in last month also. We have learnt about a few of them. When this report is being written, Hindus of village: Malancha, P.S. Diamond Harbor, District: 24 Paraganas (South) are busy in patrolling their village along with neighborhood from a likely Islamic onslaught that can befall at any moment. Have Hindus committed any crime enough to provoke Islamists to attack them? Well, there is no such; Hindus dared to protest against and also prevent Muslim radicals from hooking electricity in their village. The Muslim youths do belong to Purkutpara of neighboring Muslim-dominated village of Kamalpur and it is a daily job for them to hook electricity from Hindu residences in village: Malancha. Pujali is a small town alongside Budge Budge and is known to have the power generating station of Goenkas there, liable to render electricity to CESC round the clock. Rajibpur is situated at Ward No. 9 in Pujali and Panchucharan Mandal, a wretched Hindu individual (age 70), lives here along with his wife, two sons and two daughters. Both girls have tied the knot already and hence, the aged couple depends on their two sons, Tarun and Barun, lots. Since acute poverty remains the greatest hindrance, both sons could not study much and hence, working in embroidery industry is their only option to support the family. Without doubt, Tarun and Barun love their parents a great deal. A Muslim individual named Sheikh Ghulam Mustafa lives in Achipur Baro Battala at Pujali while his two sons, Sheikh Sahid and Sheikh Mesua, are engaged with the embroidery industry in Mumbai. It has also been found, they have their own workshop in the financial capital of India. A hearsay that comprehensive (and certainly tactical) votes of Muslims in Bengal, forming 28 per cent of the state’s population (if not more), had helped Mamata or Trinamool Congress to ascend is prevalent at the moment. And this mood nullifies the role played by Hindu votes (majority in the state still) in making her victorious. And as a reward for the same, Islamists, in every echelon of Islamic society in Bengal, are demanding more from the government…. be it jobs or any other forms of concessions………… and no less than it is acceptable to them now. Bengal government has already announced myriad concessions for Muslims, ranging from providing grants to Imams and Muazzins to distribution of cycles among Muslim girl students and special advantages to others under the camouflage of bettering people belonging to OBC status. Hindus form the greatest chunk of the same status but in every respect, governmental intentions to improve Muslims’ lot (only) deprive them altogether. Islamic doctrine creates differences with non-Muslims: "According to Islamic doctrine a Muslim is bound to consider all Muslim as his brother and all non-Muslim as his enemy. Due to the inner equality and brotherhood of Muslim society, the Muslims re more conscious about their differences with the non-Muslims. Division of world in two parts Islamic and non-Islamic states: According to the Islamic theology, the world is divided into two distinct parts to a Muslim - 1) One is called Dar-ul-Islam, meaning the land ruled by the Islamic laws. 2) The second is Dar-ul-Harb. Meaning, the land of Jihad, the land which the Muslims must have to conquer by war to establish Islamic laws. Dwarpara village, PS. – Balagarh. Hooghly dist. There are 48 decimal area of devottar property. Lakshmi Narayan deity was there on the ‘than’. Next to the property there is a Muslim graveyard. 10.5 lakh rupees allotted by govt. for boundary wall of that graveyard. Construction started. Hindus objected to it because it encroaches devottar area. 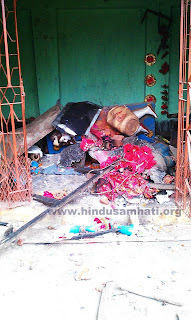 Last night Muslims allegedly burnt down the deity on 19 May. 20 May morning aggrieved Hindus blocked road in protest. BDO came, and situation calmed down. A large no. of police posted there. Clash with police. Blockade forcibly removed. Subhas Khan, Sanjib Poddar, Samir Dey, Samir Singha and 2 other Hindus arrested. Samir Singha seriously injured, and admitted in Chuchura hospital. Tomorrow they will be produced in Chuchura court. A heinous conspiracy of radical Muslims to despoil, desecrate and destroy Hindu temple and thus, to foil communal harmony prevalent in the area is going on in village: Mirzapur Dadpur, P.O. Shankarpur, P.S. Baruipur, District: 24 Paraganas (South). On March 27, 2013, in the evening, Islamists of Khan Para (at a distance of 1 km. from the nearest Hindu-dominated area) created mayhem in the village’s playground and the mob of Muslim ruffians was led by Faring Khan, s/o Momin Khan, and Bapu Khan, s/o Dadu Khan. It has been learnt, at that time, Hindu boys of village: Mirzapur were playing in the field and it was being watched by no less than 100 Hindus, comprising both men and women. 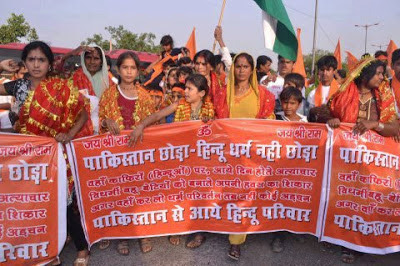 Islamists, with an intention to frustrate the playing, started to intervene and when they were asked not to do so, Muslim youths started using foul languages against Hindus there, especially Hindu women. Gangasagar, well-known pilgrimage and fair of Hindus across the globe and also the second largest congregation of mankind following the Holy Kumbh Mela, is being grabbed by Muslim radicals steadily and the abrupt emergence of lots of illegal slums comprising Muslims only denote the nefarious reality on the whole. And the way in which local administration is showering blessings on Islamists it is not far when the renowned Hindu pilgrimage will turn into an Islamic one. An Islamic festival took place just 20 days back at No. 5 Bus stand in Gangasagar but the lofty gateway or decorated arch is yet to be removed. Even if Hindus have asked the local administration repeatedly to remove it, the impasse continues due to indifference of police, let alone Muslims. Top officers in the administration are also concerned of this deadlock. Whenever Hindu girls are assaulted or molested by Muslim radicals, all Hindus can do is to rise in defence against the rogues as the hope that police will nab them and get them justice is getting bleak more and more. Hindus did the same in village: Bankul, P.S. Jagatballabhpur, District: Howrah and even after police, owing to political pressure, has released the Islamic ruffians, Hindu struggle has set a new example to follow in the vicinity. On May 5, 2013, Shyamali (name changed), (student of Class IX) daughter of Raju Dhara, was returning from tutorial at 12 pm and when she was about the crossing before her own residence, a pack of Muslim youths, sitting within a roadside tea shop, both teased and tried to grab her. Even though the girl could manage to save herself from their clutches, she was molested by them. Shyamali narrated the entire incident to her mother who along with a neighboring woman rushed out in search of offenders. No stone is being left unturned to hassle, persecute Hindus by the reigning Bengal government while Muslims are being rendered undue advantages in every sphere, let alone grants to Imams. But all these fail to match if the rising disparity between educational facilities provided to Muslim students and Hindu students are thought over. While the Madrasa education is attaining governmental graces, governmental education or mainstream educational scenario has become sordid due to lack of attentions and by now, the situation is such that paucity of teachers has become a general feature in all these schools. Arrival of Hindu families, worst persecuted in the realm of Pakistan, into India is getting more and more common these days and how do they live there can be found from a single fact – even if duration of their VISA into India gets completed, they remain completely reluctant to revert to Pakistan. What can be the greater proof of ongoing Hindu persecution in Pakistan than this? And as per as forms of Hindu persecutions is concerned, there is no end to it; it does range from setting Hindu properties to fire, desecrating and also despoiling Hindu religious places (temples and shrines) to illegal seizure of Hindu residences, kidnapping and ravishment of Hindu women (even in broad daylight). If the reader is in need of any authentic statistic, this dread reality may quench his/her thirst. Hindu population in Pakistan (1951) was 22% and it has come down to a mere 2% by now. Midnapore district of West Bengal has always been in the forefront of revolutionary movements for centuries against any kind of oppression and discrimination, suddenly found itself in spot where its own identity is in stake. Approaches To Build Illegal Jame Mosque There Unabated Uttar Mokamberia (Kalibattala), under Basanti police station, South 24 Paraganas is an obscure yet typical village that dots the landscape of Bengal. Mr. Sudhir Mondal used to be a lessee in the land until he was removed by Mr Niyat Morol, a local leader of Trinamool Congress party. Over a period of 12 years, Mr. Morol built a house in the same land which he attempted to surreptitiously convert into a madrassa and eventually into a Jame mosque while local administration looked the other way. The location of the mosque in proximity to an ancient, revered Kali temple has become a bone of contention between the local Hindus and Mr. Morol leading to mass protests by the former group. This has temporarily halted the construction of the said mosque. More recently, a legal suit lodged in the Sub-divisional court of Canning has confirmed legal rights of Mr. Mondal over the land. Bankim Chandra Chatterjee once lamented since Bengali Hindus are not interested to maintain their own history. 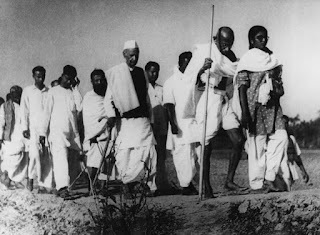 But this grave mistake is not limited to Bengalis only – Hindus, on the whole, remain naïve to maintain own history or else the chronicle of Battle of Rajasthan where a Hindu alliance routed Islamists marching all the way from Arab to wrest power from Hindus would not have been forgotten. The fierceness, desperation of Hindus in the war continues to amaze us still. We do experience a feeling of awe to learn how a small band of Hindu warriors fought so fiercely that the large, dispirited and beleaguered Muslim army had to go back to the Indus river resulting in the stoppage of Islamic invasions into India for (almost) the next two centuries. When we Hindus mull over people’s resistance episodes of Stalingrad and bloody resistance of Germans against advancing Soviet Army (both during World War II) knock us before anything else. Muslim radicals in the realm of Malda, due to rising incapacity of indigenous administration, know no bounds and hence, their devilish intentions to ravage or seize Hindu properties illegally remain unabated. A minor Hindu family living in village: Silampur, P.S. Kaliachak, District: Malda is experiencing the same brunt at the moment. Their own garden of mangos (worth 30 cottahs) has been occupied by local Islamists and even after repeated pleas (and almost a month has passed already) of Hindus the police is yet to nab the culprits. On April 8, 2013, at night, a band of local Islamists enclosed the aforementioned garden belonging to Rajkumar Saha, a Hindu individual living in village: Silampur for decades. The goons have built a thatched hut within the garden while the entire property is being guarded by a group, containing more than 25, of Muslim radicals. The entire attack took place under the leadership of Salil Sheikh, an infamous Islamist in the locality.